From clearing the lot to laying the sod on the finished yard, we are Nashville's solution for excavation, grading, landscaping and more. At SLS Services, we view our work as a partnership with our builders, and have designed our business model to meet their needs. Our experience allows us to understand the various stages of construction and to anticipate upcoming tasks. We are able to remain flexible and adjust to your schedule as job site conditions warrant. 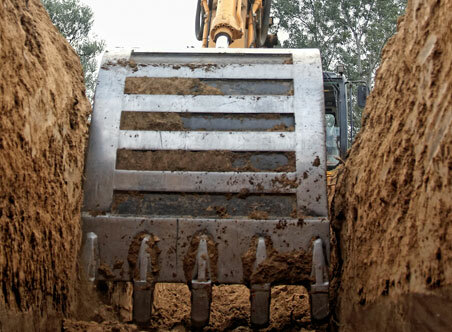 Our variety of services include grading, excavation, hauling, digging utility ditches and installing utilities, tree and shrub installation, seeding and sodding, irrigation installation, erosion control and subdivision maintenance. From clearing the lot to laying the sod on the finished yard, we are the solution for all your excavation related needs.